New Hope, PA (July 22, 2011) – Grand Prix Dressage rider and trainer Bethany Peslar taught a clinic this month at Planeta Stables in New Hope, Pennsylvania. The focus of the clinic was “Seat, Position and Effectiveness of the Aids”. Known for giving her students 110% during a clinic or lesson, Peslar’s talent, dedication and ability to keep the concepts clear helped the riders not only enjoy the day but come away with a better seat and deeper understanding of the effectiveness of the aids. Leopoldo Palacios - International Bromont 2010. Credit: Proaction Photo. 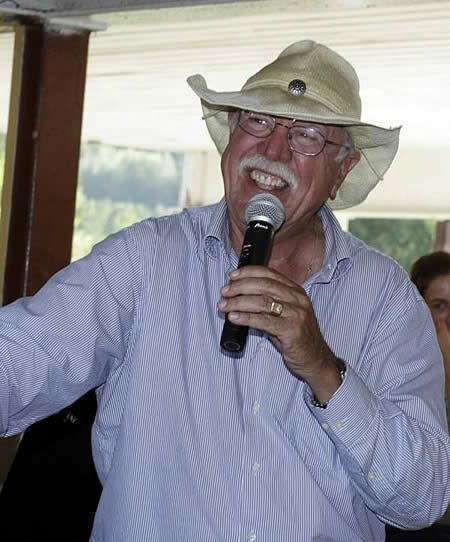 Bromont, July 7th – This year, International Bromont will offer a clinic presented by world-renowned course designer Leopoldo Palacios while he is attending the International Bromont. The clinic is recognized by Equine Canada and can be used in maintaining or upgrading the jumper course design status. Mr. Palacios will design the courses for FEI classes the first week of competition and stay in Bromont to run the clinic on July 27, 28 and 29 from 8 a.m. to 4 p.m. Places are limited and registration will end on July 15th. Details and inscription at: http://www.internationalbromont.org/formulaires-e.shtml. International Bromont is a leader in Hunter/Jumper events, offering two weeks of competition from July 20th to 24th and July 27th to 31st, 2011. As for the last 36 years, this event will take place in the Eastern Townships region of Quebec, a short distance from the Vermont border. It is the biggest horse show in Eastern Canada with a total prize money over $400,000 and one of five major Canadian events on the World Cup circuit. Thank you to all the exhibitors that made such a wonderful two weeks in Conyers this year. We had two sold out shows, great weather and wonderful competition. On Tuesday we offered two USHJA Clinics free of charge. A Pony Model Clinic with Bibby Hill and a Water Clinic with Wilhelm Genn. Thanks Bibby and Wilhelm for donation of their time, I know the exhibitors and trainers alike enjoyed the clinic. Thursday after the show, Practical Horseman sponsored a “Just Ask the Judges” clinic with Betty Oare, Scott Fitton and Barry Lobel. It was a great experience with good questions. I am sure Classic Co will pair with Practical Horseman again for another “Just Ask” clinic. 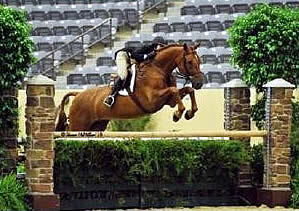 Friday the show offered the Atlanta Cup Equitation Challenge. The class was won by Taylor Adams. This class was open to Jr Hunters. Friday also offered the USHJA National Hunter Classic; this week was won by Julie Curtin aboard Vince, owned by Greg Burrow. Conyers, GA — June 26, 2011 — The Atlanta Summer Classics wrapped up competition at the Georgia International Horse Park, awarding nearly $300,000 in prize money and raising thousands for local charities over the two week run. “We’ve had some of the best riders in our sport joining us; it’s been a remarkable series and I couldn’t be happier,” Bob Bell, President of Classic Company, said. Starting off the finale week was a couple of highly anticipated clinics on Tuesday, beginning with a member of the $1 million dollar club, famed Grand Prix pro Wilhelm Genn, sharing his secrets of mastering water jumps. Sponsored by the United States Hunter Jumper Association, Genn used the covered arena to set a mini course of six jumps, two with water hazards and utilized approximately ten horses to demonstrate proper and improper approaches. Speaking over a wireless microphone to riders and trainers for nearly two hours, Genn answered questions and provided helpful tips to “boost a horse’s confidence” when confronting water obstacles. Following was a very informative Pony Model Clinic with one of the foremost experts in this area, Bibby Farmer from Ocala, FL. She carefully explained to the young exhibitors not only what judges look for, but how to get the best from their ponies. Covering all the essentials from the pony’s stance to where the exhibitors’ attentions need to be when a judge is walking about them. On Thursday evening it was the judges who found themselves in the proverbial hot seats for an open forum called Just Ask the Judges, sponsored by Practical Horseman magazine. Three of the most respected names in judging, Betty Oare, Scott Fitton, and Barry Lobel, fielded questions from exhibitors and provided insight on scoring in the Hunter/Jumper disciplines. The panel also shared several of what they referred to as Judges’ Pet Peeves, which included overly short releases, especially in the Equitation divisions. All the experts agreed a restrictive release interferes with the horse’s jumping style, but pointed out that that doesn’t imply they want to see the opposite extreme with the infamous overdone throwing of the arms release. Another peeve they described was the exaggerated tour taken upon entering the ring, stating that if a rider needs to show their mount the ring and/or the fences then the rider appears unprepared. Questions were asked on a wide range of subjects and guests left the forum armed with a lot of valuable information. “The clinics were a giant success and we [Classic Company] will be introducing more of these throughout out show schedule,” Bell commented. Trey Young, “The American Horseman,” has been busy planning and promoting his new television series airing on HRTV Dish Network 404. While creating his schedule, the horseman has reserved many dates along the way for future clinics. Young has been hosting clinics at his 3-Y Ranch in Crawfordville, FL for nearly 4 years. 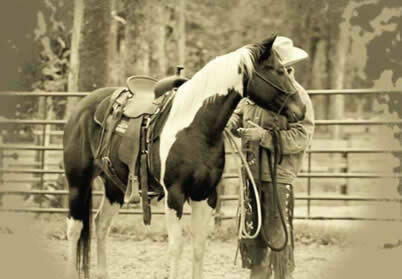 His clinics range from confidence on the trail, to cow work, to basic horsemanship. Trey’s next clinic is a basic horsemanship clinic set for June 25th-26th. This clinic is designed for all levels of horsemanship. Young will assure that you leave this clinic with renewed confidence and understanding, resulting in a stronger bond and partnership between you and your horse. Regardless of your skill level, this clinic promises something new, fun, and helpful for everyone that attends. This basic horsemanship clinic will feature some ground work as well as more saddle time to get your horse to better understand your cues. From start to finish the rider will focus on improving everything for themselves, and their horse. Clinics are limited to small sizes to ensure each person gets the one on one time they need. If you would like to attend a clinic, but don’t have a horse, one can be provided for an additional fee. Just a reminder that the Atlanta Summer Classic is just two weeks from today. We have lots planned and should be a great two weeks in Conyers. USHJA “Just Ask the Judges” Clinic – Thursday after the show. Call with questions or for stall reservations; we still not are sure about the tent this year: 843 768 5503. 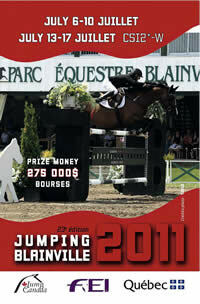 The Classique Internationale De Blainville (Jumping Blainville) is preparing for World-Class Competition. Photo Courtesy of the Client. Blainville, Quebec – May 31, 2011 – As part of promoting the sport of show jumping for young riders, the Classique Internationale de Blainville (Jumping Blainville) will be hosting the FEI Children for East Canada class on Saturday July 16, with the second round Sunday July 17, in the Grand Prix Ring. Riders born between January 1st 1997 and December 31st 1999 are eligible to compete. Each tour consists of two competitions run over different courses by a Course Designer designated by the FEI. Riders have access to the course through the FEI’s web site, and competitive equality is created by having all athletes execute a course identically built in each country. Thirty-two athletes will be qualified to participate in the Finals, which is organised with borrowed horses. This exciting event offers the opportunity for children to ride at the level of international competitors, while pursing their Olympic dreams. Another highlight event at Jumping Blainville will be the Non Pro Nations Cup, sponsored by L’Oréal Canada, Ombrelle, where teams of three riders compete for $5,000 in prize money. For the past two years, teams have named and dressed up to represent their group. This is a crowd favourite where everyone cheers for their chosen team, while riders learn to compete and work as a group. 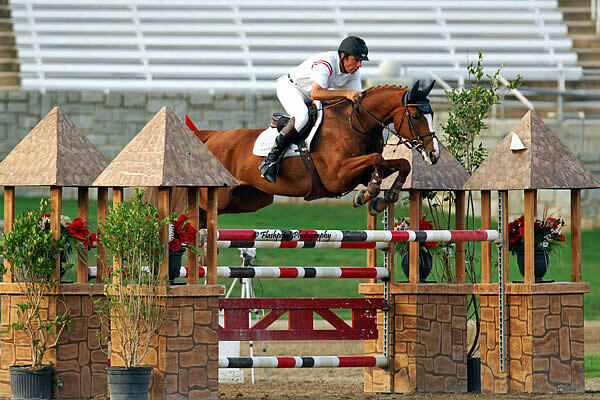 Want to ride with Olympic three-day eventers David and Karen O’Connor? 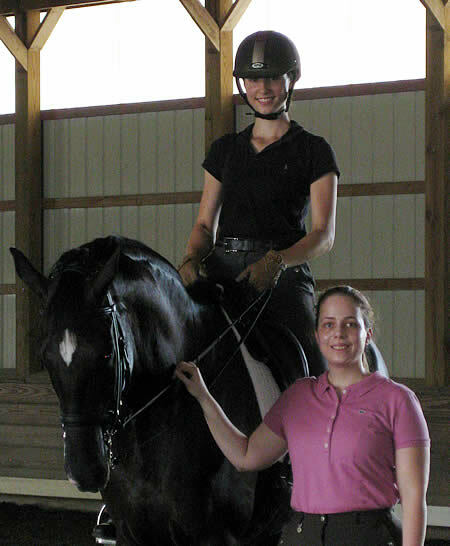 Kentucky Equine Research (KER) is proud to offer one grand prize winner a rider’s slot at the 2011 O’Connor Equestrian Camp, to be held at the Virginia Horse Center June 26 – July 1. Enter the contest. In addition to the grand prize winner, second- and third-place winners will be drawn. The second-place winner will receive $250 in KER nutritional supplements, and the third-place winner will receive $150 in products. All winners will get an additional prize package that includes a nutrition consultation for one horse, an embroidered saddle pad, and a hat. Gladstone, NJ – May 23, 2011 – The USET Foundation is pleased to announce that four Elite Dressage Rider Clinics are to be held this fall. Two clinics will be held on the west coast and two on the east cost, both with U.S. Olympic athlete and World Equestrian Games medalist Steffen Peters and USEF Technical Advisor Anne Gribbons. The clinics will be by invitation only for horse and rider combinations on the USEF Grand Prix Long List and are designed to provide guidance and instruction for the top U.S. Dressage horses and riders in preparation for the 2012 Olympic Games. The USEF Dressage High Performance Committee will develop specific invitation criteria for the clinics based on recommendations from Anne Gribbons. “We are so pleased to be able to offer these clinics thanks to the generosity of Betsy Juliano,” stated USET Foundation President, Jane Forbes Clark. “Betsy has made a gift commitment through 2014, which will ensure that these important clinics take place, helping to prepare our horses and riders for international championship competition. Betsy truly understands the value and importance of making sure our riders receive the high level of training and guidance that will continue to make the United States competitive among the top Dressage nations,” Clark remarked. Juliano, the owner of Havensafe Farm, is a member of the USET Foundation National Advisory Committee, a competitor in the adult amateur division and the owner of international prospects. Jack Hardin Towell, Sr. started his own business as a hunter/jumper trainer at the age of 17. Now the owner of Finally Farm in Camden, South Carolina, and one of the leading horse trainers in the US, his accomplishments as a trainer have secured his stature in the industry. Jack has used his skills and intuition to discover and make top hunter ponies and horses. He has trained 65 champions and/or reserve champions in the best indoor shows, including The Pennsylvania National, Devon, The Washington International, Capital Challenge, and The National Horse Show. Jack is also an R rated horse-show judge and has officiated at many prestigious horse shows including the Washington International and the ASPCA Maclay Finals. Please join us May 7-8, 2011 at Longfield Stables located at Palmetto Bluff in Bluffton, SC for an opportunity to ride with a master. Contact Lauren Marcinkoski at SwampFoxFarms@gmail.com or (912) 484 8510 for more information.